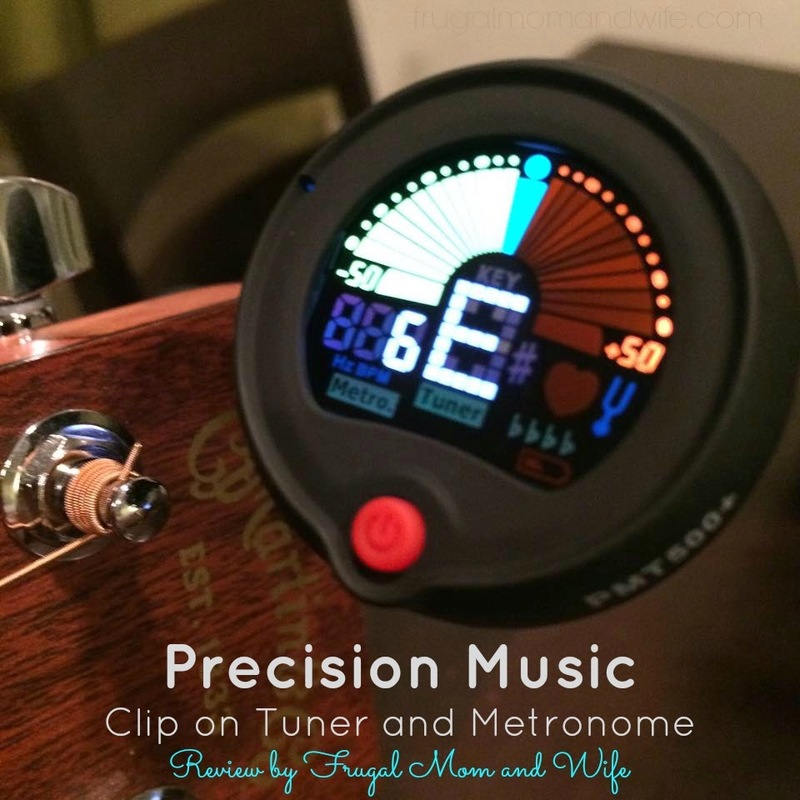 Frugal Mom and Wife: Precision Music Clip on Tuner and Metronome Review! 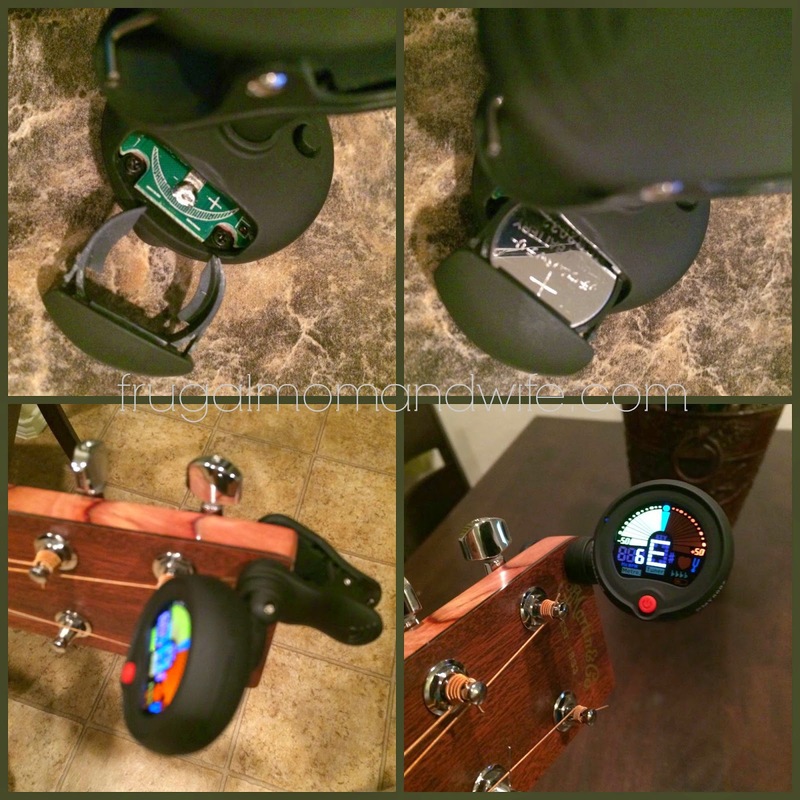 Precision Music Clip on Tuner and Metronome Review! Making sure your instrument is well tuned is important for musicians of every level. For musicians of all levels, tuning helps engage the ear with the specific sound and frequency of the intended note. Tuning is the process of adjusting the pitch of one or many tones from musical instruments until they form a desired arrangement. So when you are tuning, you are trying to match the frequency, or vibration, of one note to another. That's where a handy electronic tuner can be a musicians best friend, making this process quick and precise. Instead of using the strings to find the correct tones for other strings, an electric tuner will read and interpret the sound waves it picks up from your instrument and display in notes what it reads. Securely fasten to the head of your instrument the Precision Music Clip provides precise tuning for a wide range of instruments. This device is great for use Guitar, Bass, Cuatros, Bass, Violins and Ukuleles and its powerful Chromatic setting makes it the perfect tuning device for other stringed and non-stringed instruments. This musical innovation is used by Professional and Amateur musicians all over the world. Precision Music © PMT500+ Chromatic Clip On Tuner and Metronome uses vibration sensor technology and is equipped with a sensitive internal vibration sensor. The exercise of tuning your guitar with an electric tuner becomes as simple as reading the display and adjusting your tuning peg until the tuner tells you you’re playing the right note. My husband plays a variety of different instruments in which are several different type stringed instruments. Prominently being his electric and acoustic guitars. They are played on a regular basis which makes them instruments that are constantly tuned. Going through the years of the waves of tuners available my husband loves ones you can directly clip onto your headstock. With the view point right next to the tuning pegs for easy adjustment. The clip is padded not to damage your instrument. It stays firmly in place until you release it manually. The light up display makes viewing in dim light at home, band practice or shows clear and very easy to read. Electric tuners are wonderful to have on hand for environments that are louder where you might not be able to hear the sound your guitar is producing accurately enough to tune it properly over all of the other noise in the room. This Precision Music electric tuner that clips to the headstock is a life-saver in this event. Other devices similar to this one have broke at the joints showing poor construction and producing major disappointment. However after rugged use of this tuner it does not waver from it's overall durable construction. This electronic tuner by Precision Music is highly recommended to accurately tune your instrument and not break your budget. I can see where this would be a Must Purchase for any stringed instrument player! It must be almost impossible to tun4e an instrument in a crowd and this one is small and discreet so probably won't be noticed even by 1st row observers! My daughter used one of these in music, but I'd forgotten about that. It's a great gizmo to have. Wow this is pretty cool. I think my son would get a lot of use out of that.